For many people, what they think about security guards is shaped by what they see on TV. Hollywood tends to portray them as bumbling “wannabe cops” with no clear career path, riding a Segway everywhere they go while wielding a Maglight. While it might make for interesting TV and movies, it is time for us to put aside our visions of Die Hard or The Matrix and find out why security guards provide a critically important service. In this age of super security technologies, it is easy to think that security technologies are all we need. Whether they are providing a roving security presence, reporting or addressing suspicious behavior, or serving as a liaison between law enforcement, security guards stand in the security gap allowing businesses and others to maximize their security. Most people are surprised by how much training it takes to become a security guard. A security guard must complete at least 40 hours of education through an approved private patrol operator or certified training facility. Armed guards have additional training, permits, and certifications. An individual who seeks a firearm permit will need 14 hours of training, consisting of eight hours of classroom instruction and six hours of range. Among the topics are moral and legal issues, weapon handling, and emergency procedures. The course must be taken through a Bureau-certified facility or instructor. To be certified, the applicant will need to pass both a written exam and a range test and need to re-qualify each year of the permit. Whether it is for gated communities, vacant properties, construction sites, or businesses there are many important advantages in hiring security guards. Security guards provide a live and visible security presence to any area which is a huge crime deterrent. Guards are mobile and able to immediately respond to, rather than just record events. Armed and uniformed guards also reflect authority and professionalism. All of these things combined reduce crime and provide a more secure environment for residents, employees, or customers of the area being protected. 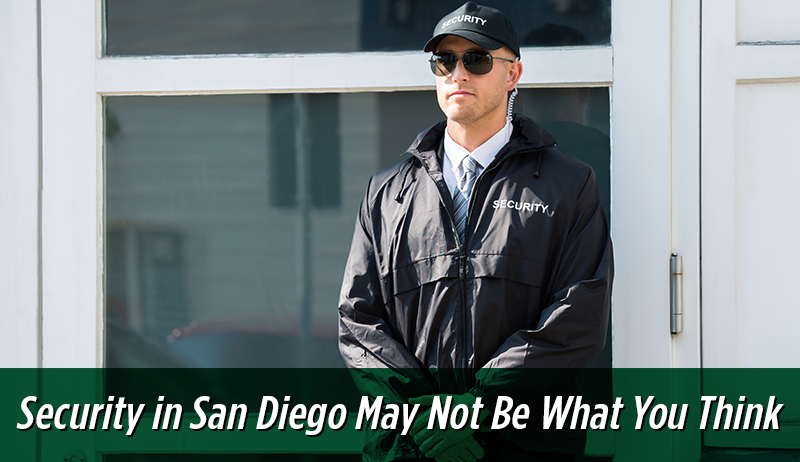 Looking for security guards in San Diego? Call Rancho Santa Fe Security today! 800-303-8877.